Photo resistor exhibit. ​ We originally designed & fabricated this exhibit for museums in 1993. It is an exciting educational exhibit that delights both young and old. This exhibit shows how photo resistive materials can be used to control electronic devices by illustrating the principle through musical notes. Children respond with enthusiasm as they wave their hands up and down over the device and it seems to magically create sounds. The exhibit is simple to use, fun and educational. 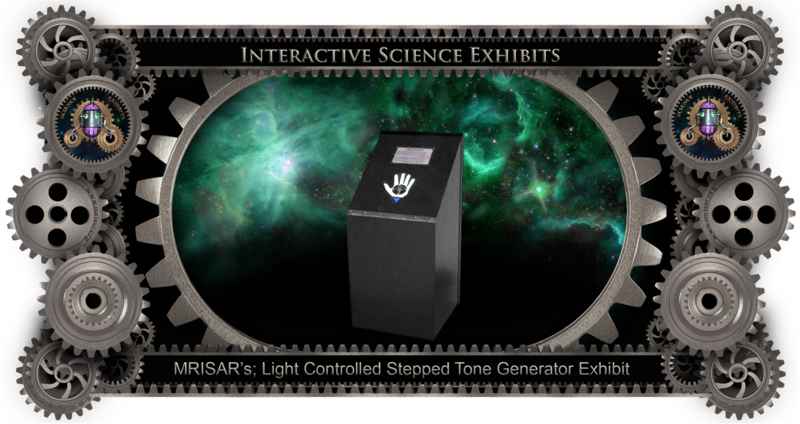 The exhibit is started by pushing a button which actives the tone generator for a specified time duration. The text supplied on the exhibit discusses the theory and applications for the technology. The exhibit requires one 120 V AC grounded socket or optional solar power system at no additional cost. It is available in a wide variety of colors. 2’ x 2’ footprint. Contact us for price information.